Success Story: Improve Liquid Chocolate Quality. Galaxy Sivtek > Case Studies > Success Story: Improve Liquid Chocolate Quality. SIVTEK Self Cleaning Filter has helped to Boost Production and Enhance Product Quality of Liquid Chocolate-Yogesh Bais-Sr. Manager Engineering. Business Case: After Conching & Tempering. Initially, the company used conventional vibrating separator to filter chocolate slurry. Chocking, contamination and cleaning were major issues plus poor customer service augmented the woes of the company. The end product being edible food, the customer had to deal with high quantities of dirt, hair, paper cuts,uncrushed ingredient and other impurities, which made filtering a challenging task. Concerns: 3C’s: Chocking, Cleaning & Contamination. “After a brief discussion at industrial exhibition, we were asked to visit the actual site and recommend the solution as per current operating conditions” says Mayank Patel, Manager-Business Development and R&D. Soon, after visiting the actual installation site, we were convinced that the product quality was getting compromised due to impurities as no filtration equipment was deployed before packaging” states Bhautik Shah, Regional Manager-West. 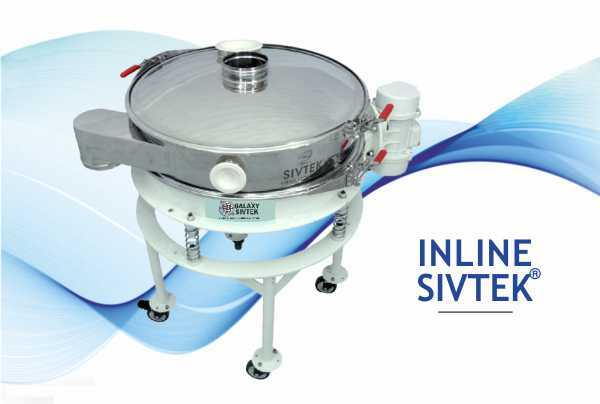 The SIVTEK Self Cleaning Filter (SF-800) successfully completed a month long trial and was deployed to filter diverse grades of chocolate slurry before packaging and dispatch. The installation of SIVTEK Industrial Filter before packaging and dispatch of liquid chocolate resulted into tremendous improvement in product quality and overall production capacity of chocolate slurry.